Whether enhancing the creativity of a movie maker or monitoring power lines, the S-100’s intuitive and accessible technology makes it the perfect choice for a diverse range of users. SUPPLY LINE SURVEILLANCE Conventional power line survey has historically been conducted by ground-based teams, however, helicopters have taken over much of this work due to their improved inspection efficiency as well as minimized disruption by allowing the infrastructure to remain live during the inspection. Other advantages include more efficient operation in geographically challenging terrain, improvement in health and safety by minimizing the requirement to work at height, and the reduction in the number of site visits. Inspection costs can be reduced dramatically by faster inspection times with lower setup costs. Live inspection also avoids the opportunity cost and network risk of having to shut down the infrastructure. 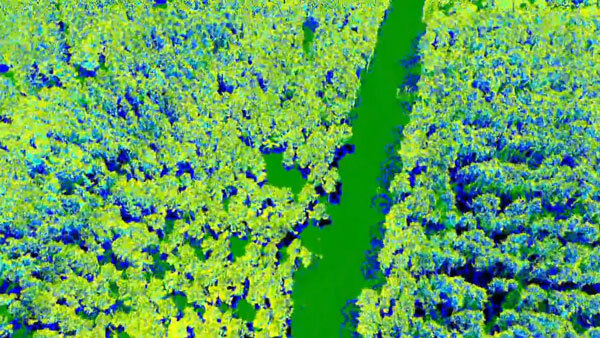 AIRBORNE LASER SCANNING The applications for airborne laser scanning require highly accurate, rapid and repetitive surveying of large areas such as forests, agriculture, inshore waters and urban areas. 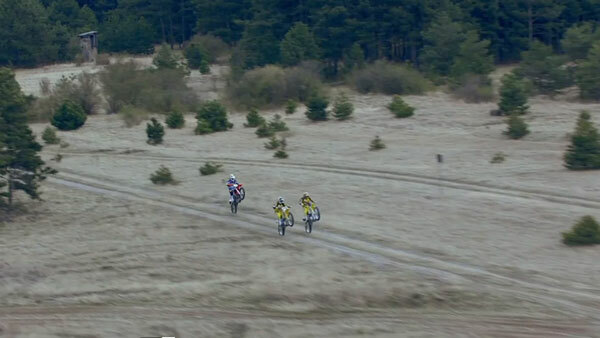 These tasks are usually carried out by manned aircraft. The combination of a precise laser scanner in combination with the S-100 allows swift and accurate mapping of remote areas and proves valuable in applications such as mapping, resource exploration and urban planning. AERIAL CINEMATOGRAPHY The CAMCOPTER® S-100 UAS can carry a variety of cameras suitable and capable of providing the highest-definition video, so important to today's movie and television directors. Its ability to hover and precisely maneuver for extended periods offers a truly stable platform and provides another dimension of artistic freedom. In addition to the creative opportunities that the S-100 provides for filmmakers, its aerial footprint is so much smaller and less invasive than manned platforms offering greater opportunities to film in more sensitive environments. MORE CIVIL LAND-BASED APPLICATIONS The S-100 provides an ideal platform from which to collect and measure atmospheric samples, whether they be Chemical, Biological or Radiological (CBR). The S-100’s ability to hover and move slowly with high navigational accuracy enables the accurate 3-dimensional mapping of CBR clouds. When equipped with LIDAR and color video sensors, the drone can accurately perform 3-dimensional mapping to provide valuable information for geographers, resource extraction companies, infrastructure planners and inspectors as well as disaster response organizations. 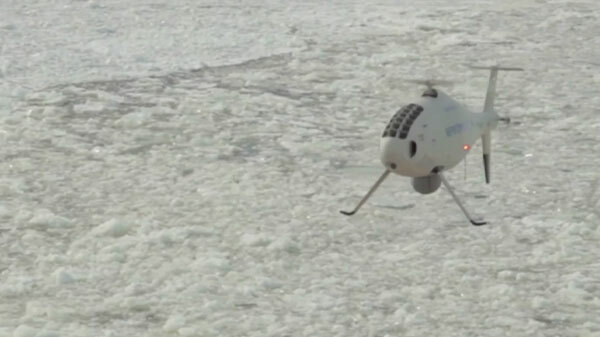 The CAMCOPTER® S-100 is able to provide unique degrees of flexibility, versatility and persistence, all of which are key to successful operation in maritime environments. ANTI-SMUGGLING OPERATIONS The demand for ever more robust border control continues to grow, especially in more difficult, austere, geographically complex environments where conventional approaches are not always effective. The CAMCOPTER® S-100 UAS has been proven to deliver real-time information for decision makers and border patrol personnel, making this an indispensable tool in the global battle against contraband, drug, human or arms trafficking and in the fight against organized crime. SEARCH AND RESCUE The provision of timely surveillance over broad areas are two critical components of successful search and rescue operations. Supported by a CAMCOPTER&REG; S-100, NGOs, disaster-relief personnel and first responders get a compelling aerial perspective that enables them to more effectively and efficiently deploy and coordinate resources immediately. 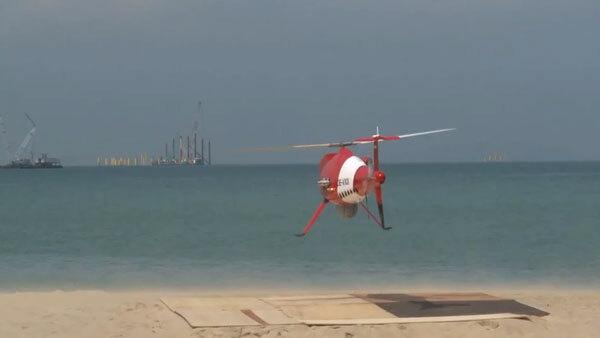 The unmanned helicopter with its small logistics footprint allows its deployment from austere operation sites, closer to where the need is and where operation of manned assets would be considerably more difficult to deploy. 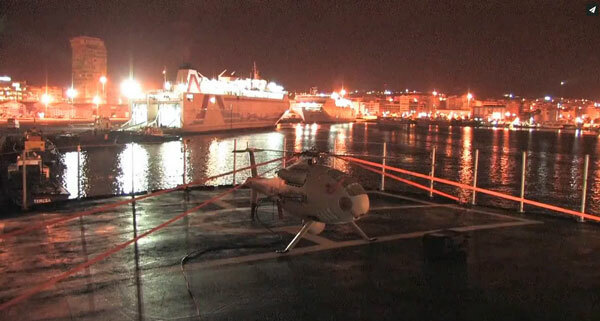 Day and night operation using real-time, full-motion video from both high-definition color-video and infrared cameras makes the S-100 an effective tool for search and rescue operations. COASTAL PATROL Diminishing budgets and resources are moving ship design away from the large capital ships of the past to smaller more cost-effective solutions where operation of conventional manned helicopters becomes considerably more difficult. Embarking a tactical rotary UAS such as the CAMCOPTER&REG; S-100 can cost-effectively replace the lost ISR capability. Given its minimal footprint, the S-100 is able to operate even from small-sized ships decks. MORE CIVIL MARITIME APPLICATIONS The maritime environment, more than any other, requires timely situational awareness and communications. 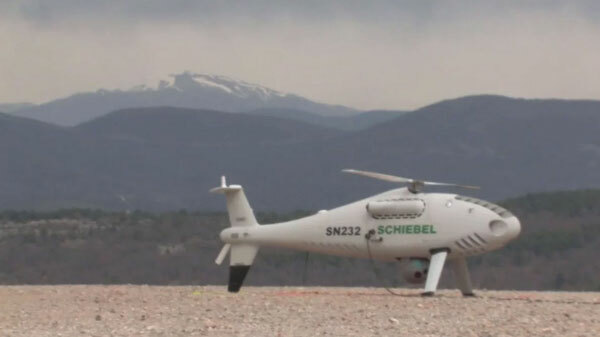 Schiebel is meeting today’s challenge with its CAMCOPTER&REG; S-100, proven in all operational areas, including littoral, riverine and inland as well as the open sea. Small vessels, especially, require UAS that place the smallest demands possible on resources and logistics support. 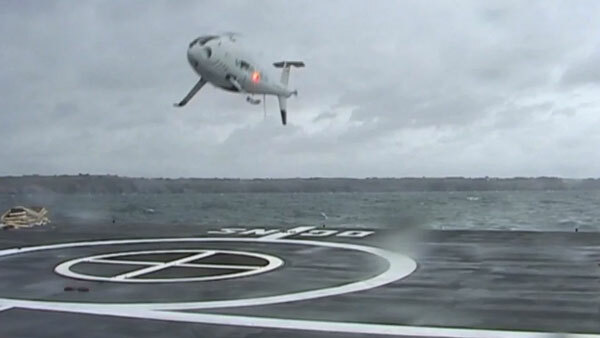 Working with its world-class partners, Schiebel has reviewed existing manned-helicopter maritime practices and used this information to develop a unique maritime capability. The S-100 is a significant force multiplier for maritime commanders, extending the reach of the ship beyond the horizon. It greatly improves the decision makers' situational understanding and operational responsiveness. MULTI-SENSOR SURVEILLANCE The S-100 is the only UAS in its class that is able to carry multiple sensors simultaneously. 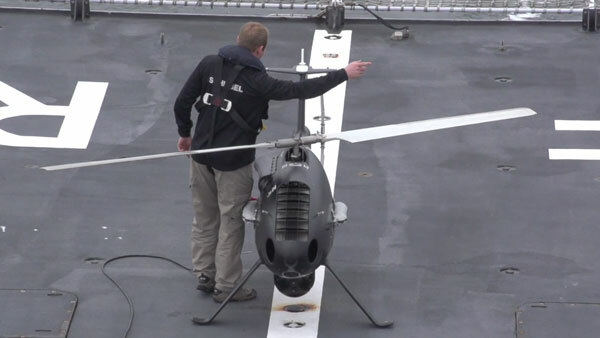 The CAMCOPTER&REG; with such multi-sensor capability can extend the surveillance horizon of naval commanders and decision makers and in so doing enhance their situational awareness dramatically. The data provided by the ESM and radar sensors provide a broad-area maritime capability that, when combined with electro-optic sensors, is crucial to understanding the dynamic challenges of the maritime environment. 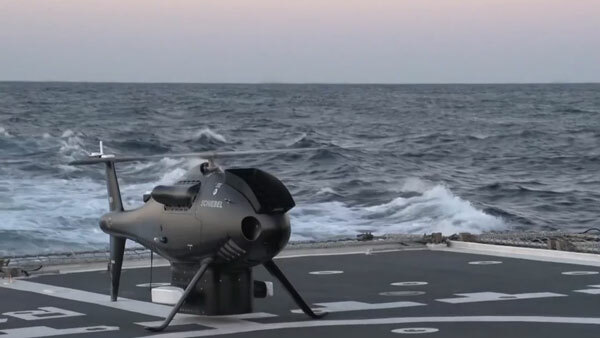 ALL-OCEANS SOLUTION The S-100 unmanned helicopter has successfully completed extensive shipborne trials and is deployed with various navies worldwide. The S-100 has successfully proved its maritime surveillance capability on 17 different classes of vessels in all the world’s oceans. Thousands of flight hours and thousands of takeoffs and landings prove that the S-100 meets the long-term goals of many navies. Since 2006, there has been a successful development of a fully automated shipboard landing system. The S-100 can take off and land at wind speeds of up to 25 knots over deck. However, successful flight-testing has been conducted at wind speeds of 40 knots and sea states greater than 3. LONG-RANGE RECONNAISSANCE The unique CAMCOPTER&REG; S-100 UAS delivers long-range real-time reconnaissance up to 200 km, satisfying a wide range of user requirements. Schiebel's ground-control user interface offers field-proven mission planning and execution capabilities. It provides easy access and allows swift integration with higher levels of command and control systems, including payload data distribution and processing.  MORE MILITARY MARITIME APPLICATIONS With increasing levels of threat and larger numbers of vessels occupying our seas, the demand to understand and predict ship movements and actions is becoming an even more complex task. 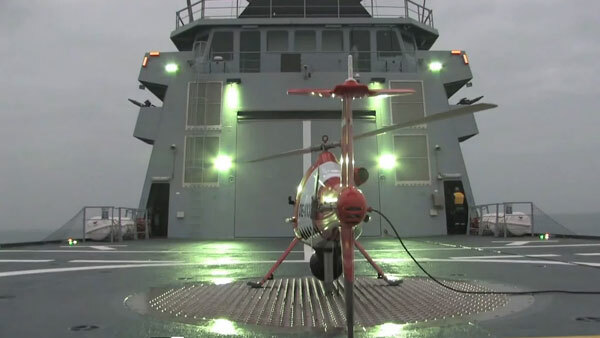 Capable of carrying out operations from a single ship or as part of a task force, the CAMCOPTER&REG; is a true force multiplier. Working as part of collaborative future maritime patrols, the combination of manned, unmanned and satellite-based reconnaissance systems will help to ensure safer movement of traffic across the world’s oceans, deter aggression, better detect piracy, secure coastlines and protect infrastructure such as pipelines and energy platforms. The multi-capable S-100 enhances your military capability and delivers an intelligent and flexible solution for a wide range of missions. FLEXIBLE LAND-BASED ISR MISSIONS Focused, timely ISR is an essential component of today’s military operations. With the advent of modern UAS, a whole new range of ISR products are available and can be made available at all operational levels. For maximum efficiency, data must be collected, analyzed and exploited effectively giving decision makers sufficient time to instigate effective actions and responses. 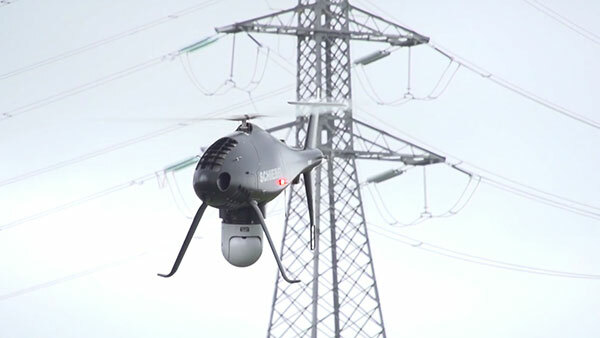 The CAMCOPTER® S-100, coupled with highly flexible secure networking capabilities, provides a step-change across all levels of command. This capability, paired with its small footprint and ability to operate from austere sites, makes the S-100 the ultimate ISR asset for a wide range of military and security operations. LAND-BASED MULTI-SENSOR SURVEILLANCE Military forces today are faced with complex, often asymmetric challenges: They must be able to use cues and intelligence collected from increasingly wider parts of the electromagnetic spectrum, over broad, complex operational terrains against a background of shrinking budgets and scarce resources. With the CAMCOPTER® S-100, customers can benefit from a high-persistence, cost-effective multi-sensor platform that enhances situational awareness at operationally significant ranges. 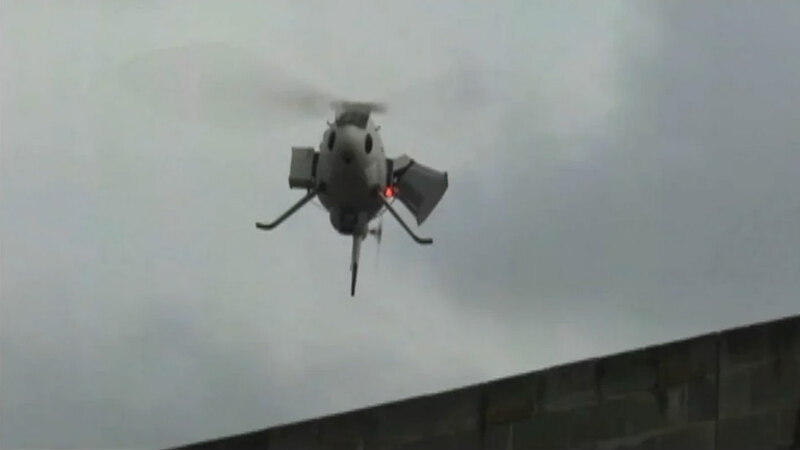 MISSION SUPPORT Equipped with an EO/IR camera, loudspeakers and a leaflet-dropping container, the CAMCOPTER® S-100 extends the decision makers’ capability into a wide range of peace-support and stabilization operations. MORE MILITARY LAND-BASED APPLICATIONS Where the CAMCOPTER® S-100 truly excels is the support it offers commanders and decision makers operating in the highly complex littoral environment, with the drone’s ability to deploy and operate from both land and maritime sites interchangeably, as well as to be rapidly reconfigured in support of different operational needs and levels of command. Its flexible logistics requirements, limited demand for resources and ability to operate from the most austere sites allows the S-100 to remain close to the center of effort, irrespective of whether it is on land or at sea.